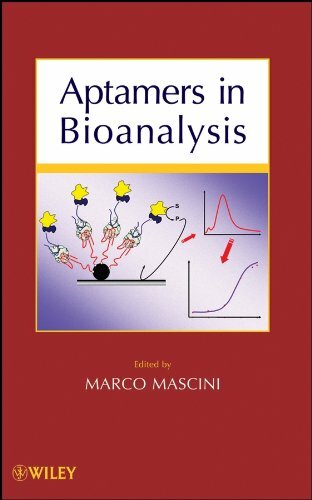 This is the first book to detail bioanalytical technologies and methods that have been developed using aptamers in analytical, medical, environmental, and food science applications. After an introduction to aptamers, aptamer targets, and their general uses, it discusses different applications with particular attention to the comparison between aptamer-based biosensors and methods versus the corresponding immunosensors. Examples of aptamer-based diagnostic techniques include whole-cell protein profiling (proteomics) and medical diagnostics for the distinction of diseased versus healthy states. This is a core reference for analytical chemists, electrochemists, pharmaceutical/medicinal chemists, biotechnologists, and others. With an overview of proven bioanalytical technologies and methods and numerous references for further study, this is a core reference for analytical chemists, electrochemists, pharmaceutical/medicinal chemists, and biotechnologists. MARCO MASCINI, PhD, is a Full Professor of Analytical Chemistry in the Department of Chemistry at the University of Firenze, Italy. He has been one of the pioneers of biosensor technology. His research interests are related to electrochemical, piezoelectric, and optical biosensors. He pioneered several practical applications of these devices in industrial prototypes for use in bioanalysis, medicine, the environment, and food quality and safety. Some of these devices are commercialized today. Dr. Mascini is the author of more than 300 publications and has taken part in several European Commission projects and steering committees.